Renewed: Riverdale, Black Lightning, Dynasty. 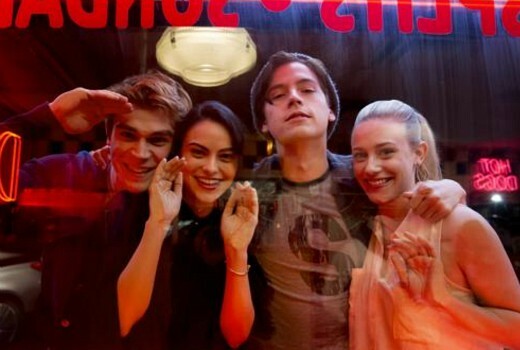 US teen drama Riverdale has been picked up for a third season. The CW has announced the renewal amongst a swag of show renewals, several of which screen in Australia through Netflix. Superhero series Black Lightning and rebooted super-soap Dynasty also win second seasons. The CW is yet to decide on iZombie which airs in Australia on Stan. No, there were too many casting disappointments with the new Dynasty. The 80s classic is still my one and only. It took about 5 eps in and was addicted to the dynasty reboot. Nicolette Sheridans debut of Alexis was awesomely over the top. Glad for 2nd season! It got renewed because it already had an Netflix deal prior to premiering on The CW. Oh David. I do appreciate your 80’s enthusiasm in referring to Dynasty as a super-soap. How it’s managed to secure a second season with those CW ratings has me and others who appreciate the 80’s genre scratching our mullets. Happy 40th Anniversary (2 April, 1978) to Dallas.